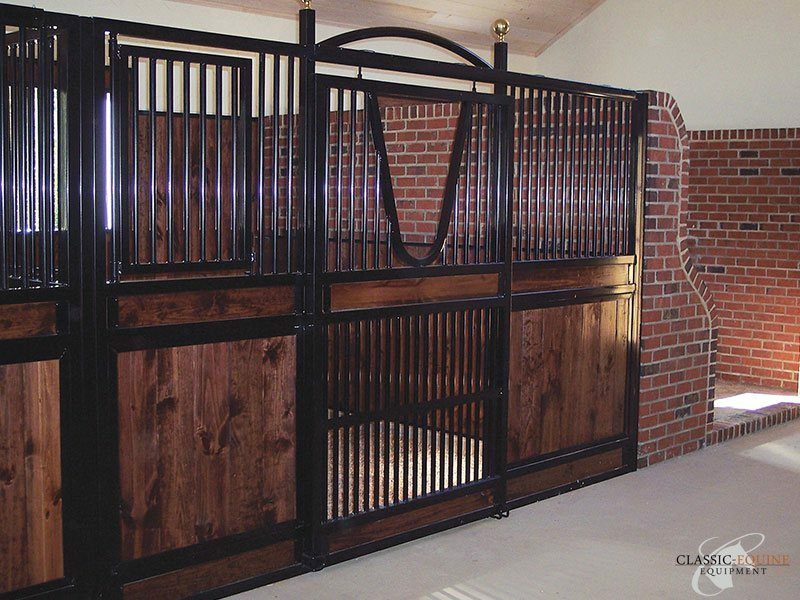 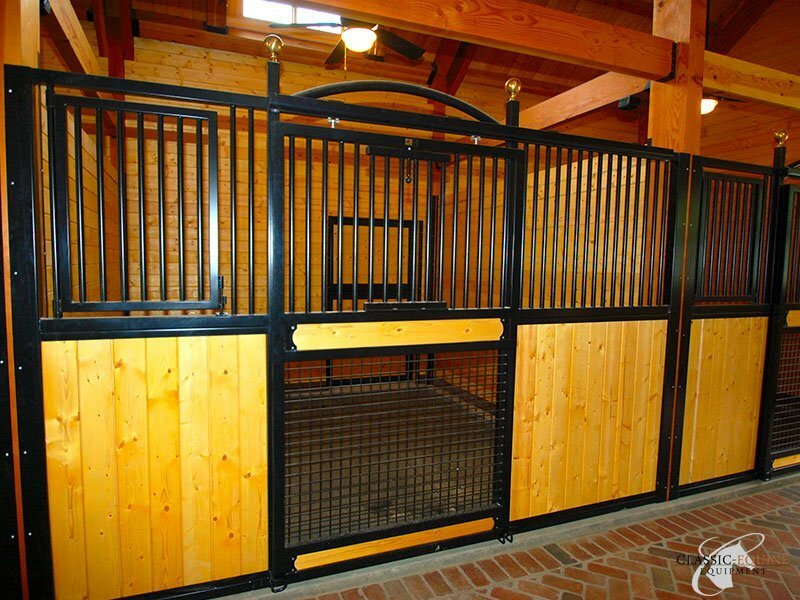 Best on the market track and roller system with self cleaning design to allow easy sliding horse stall doors. 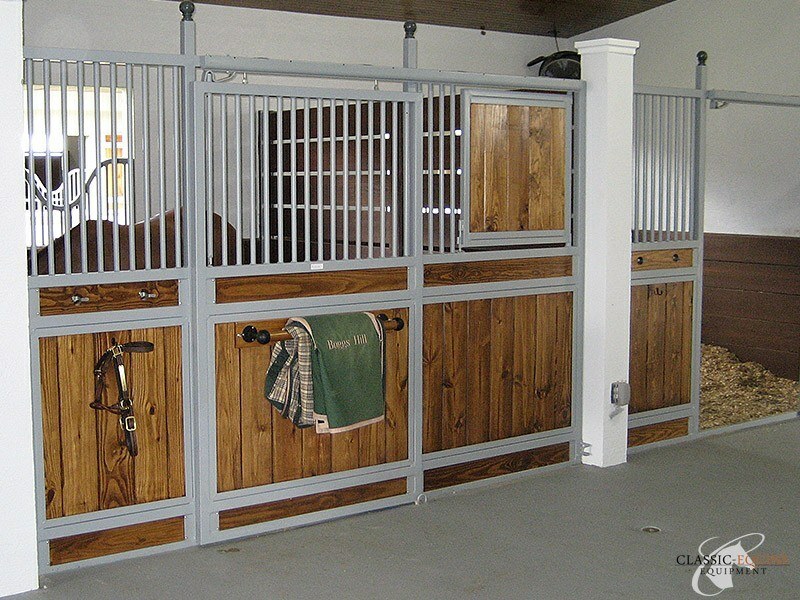 Simple flip latch design for securing horse stall doors, other latching options available. 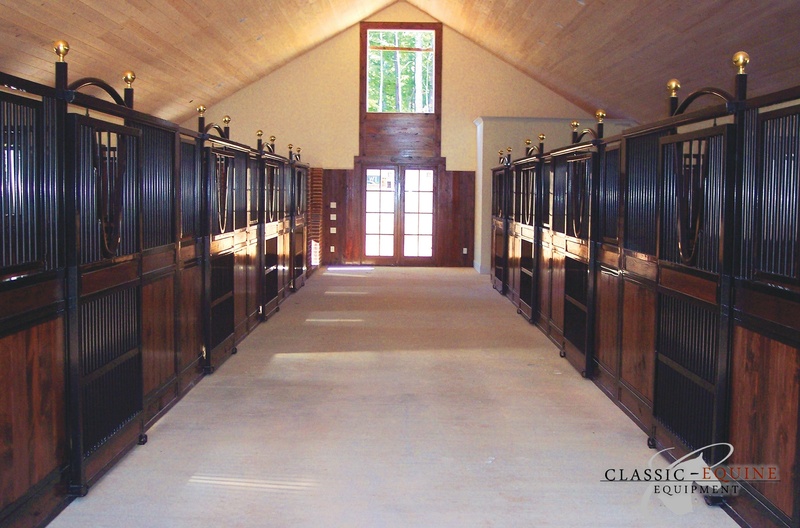 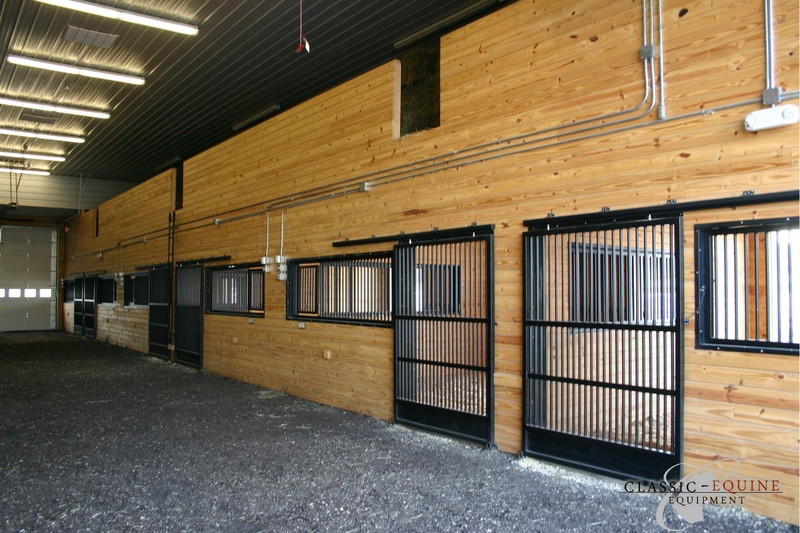 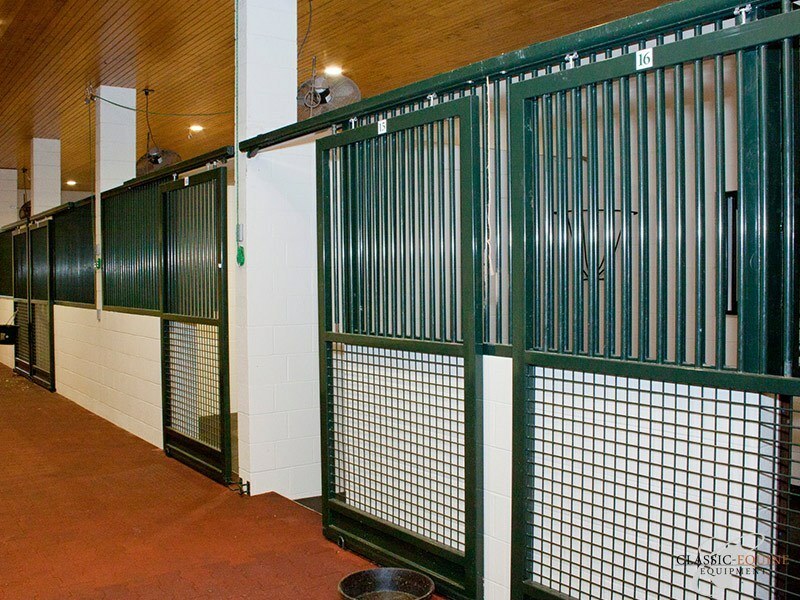 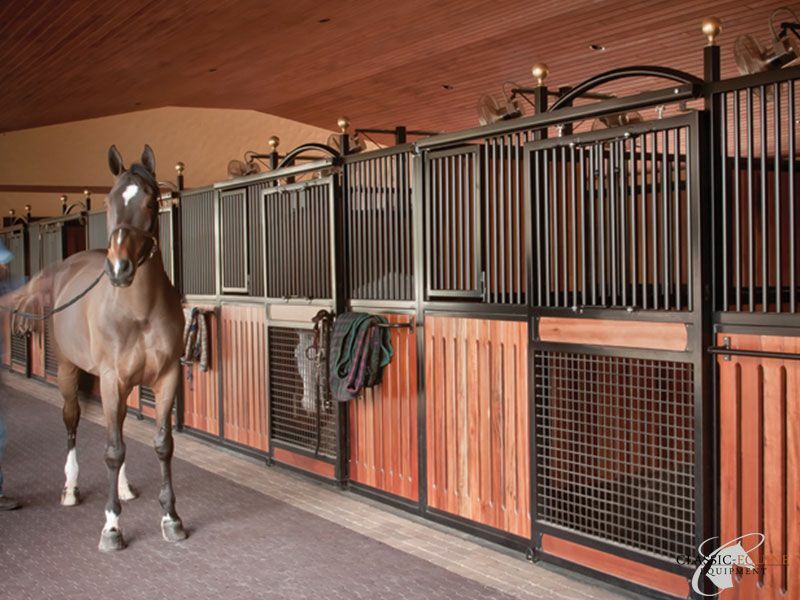 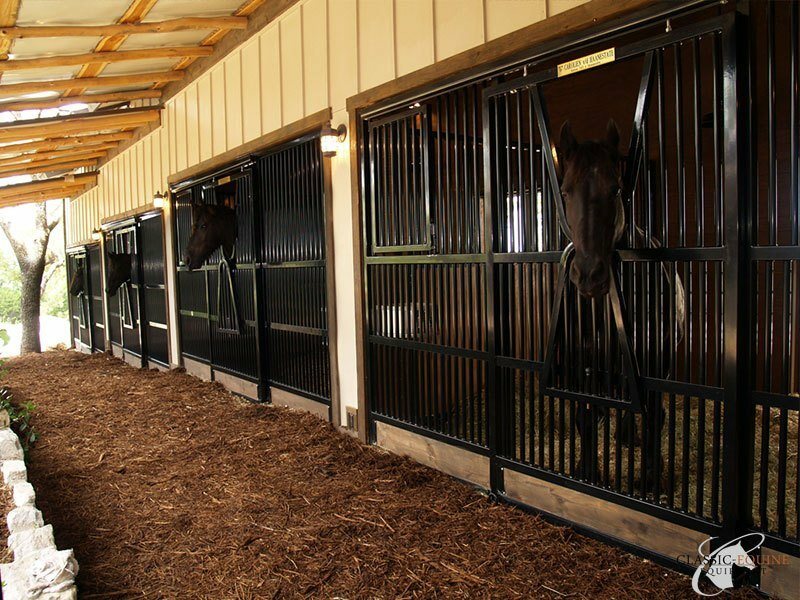 Sliding door horse stalls are a popular option for many horse barns. 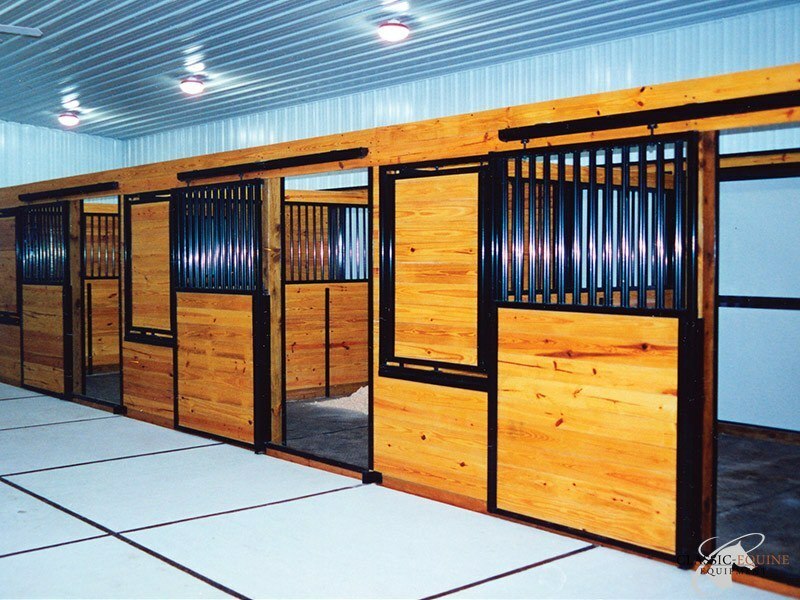 Sliding doors have a major advantage in that they save room, since the stall door doesn’t swing outward into the barn aisle. 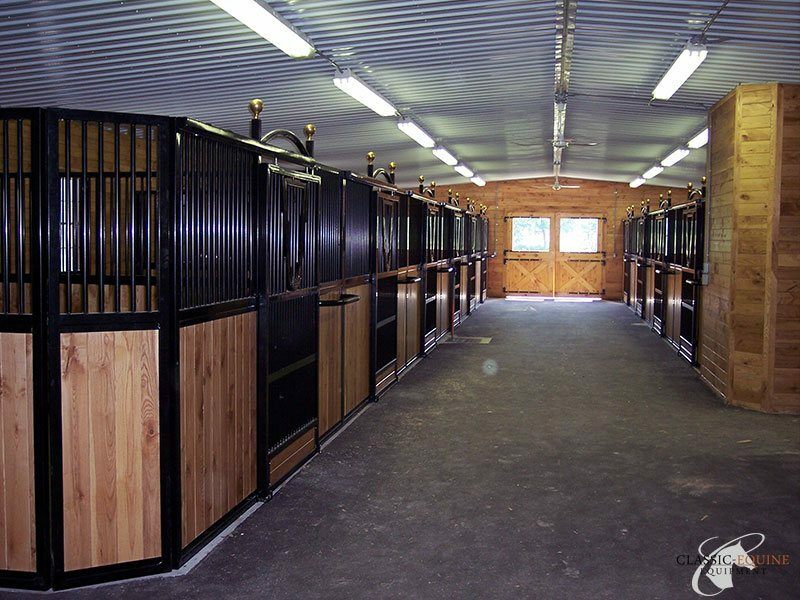 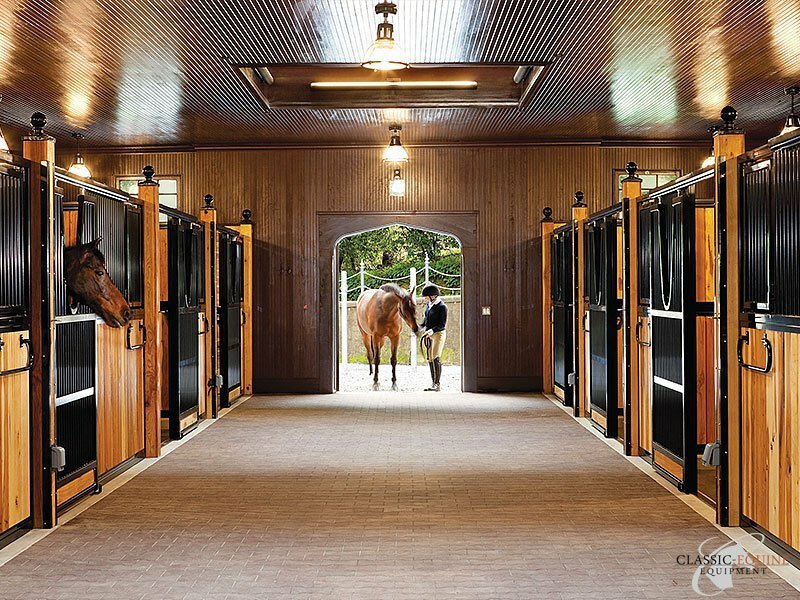 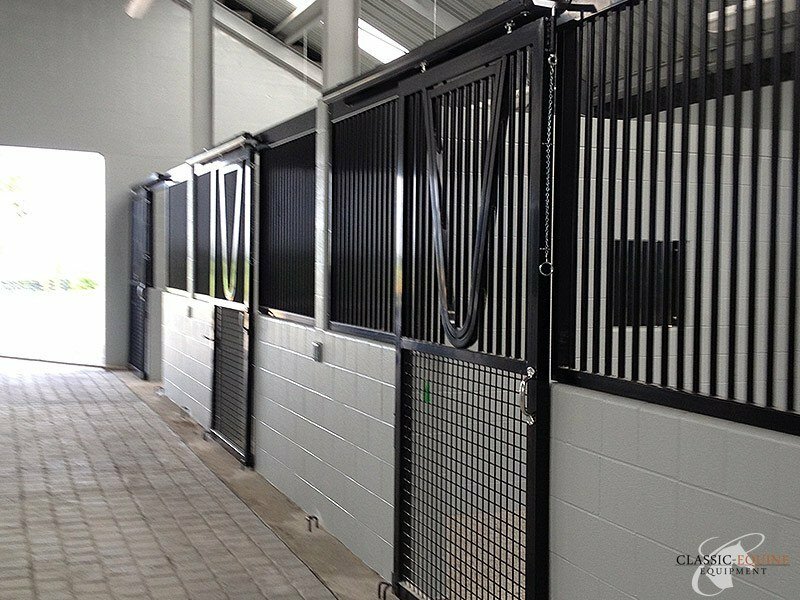 For this reason, sliding horse stall doors are ideal for busy facilities where multiple horses are frequently coming and going. 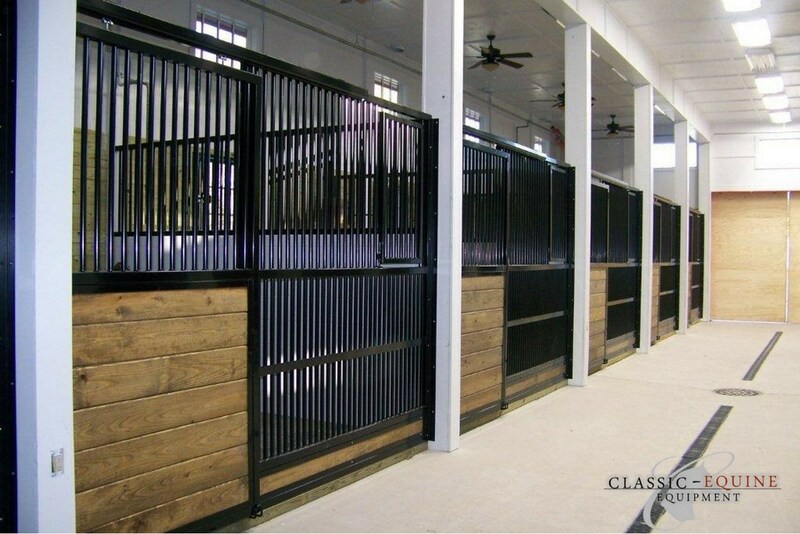 They also make a great choice if you are dealing with a narrow barn aisle in your facility. 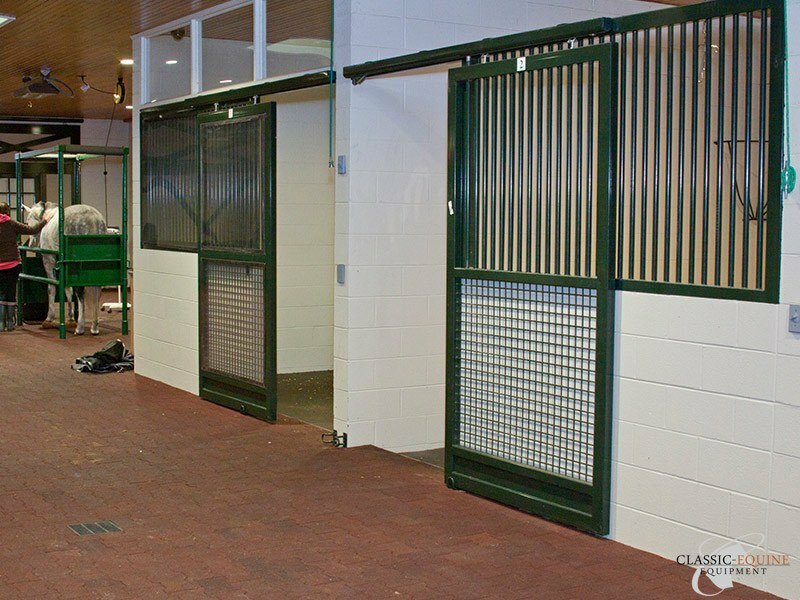 There are many ways to customize a sliding door horse stall fronts. 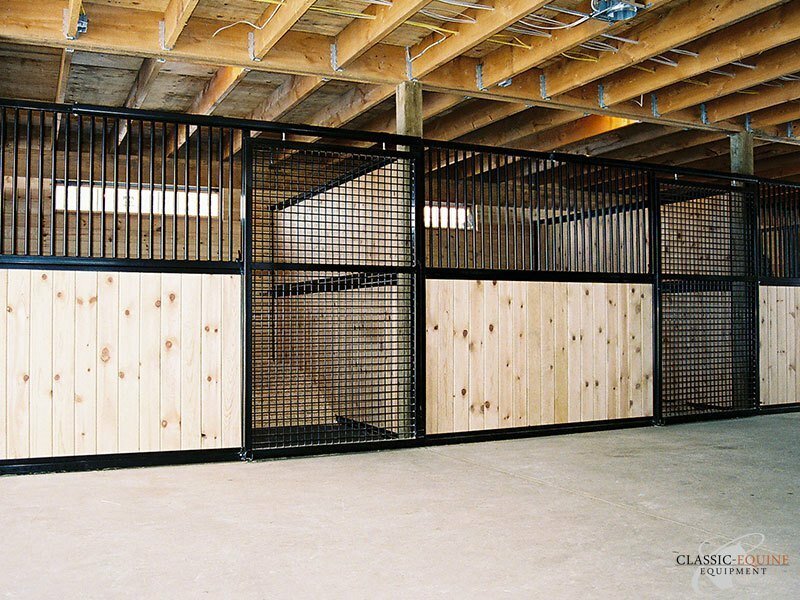 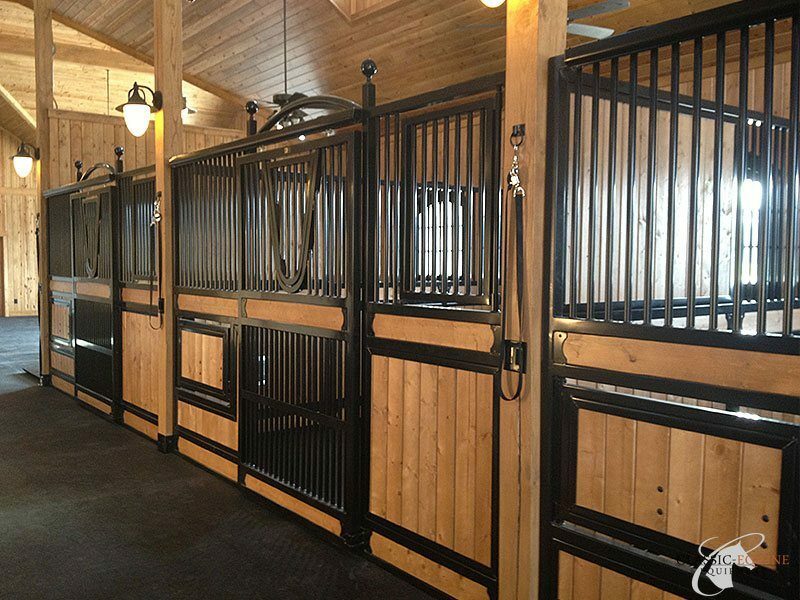 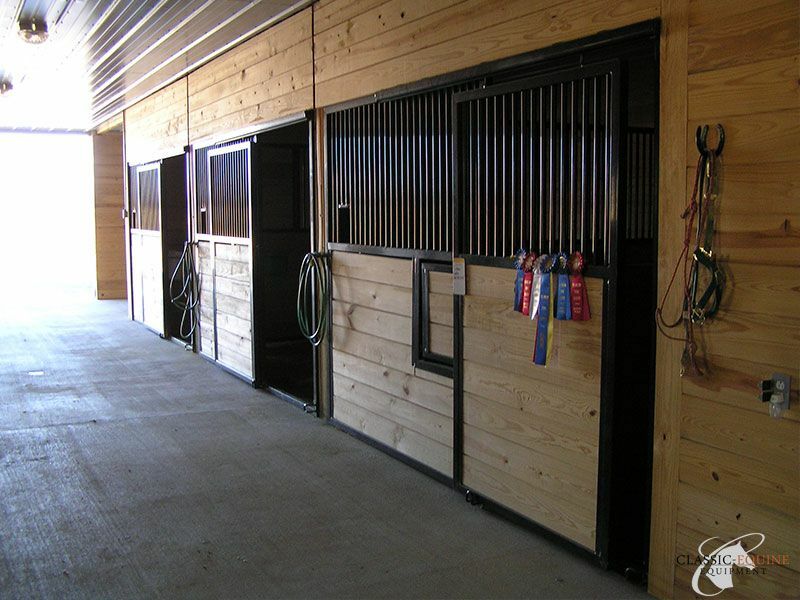 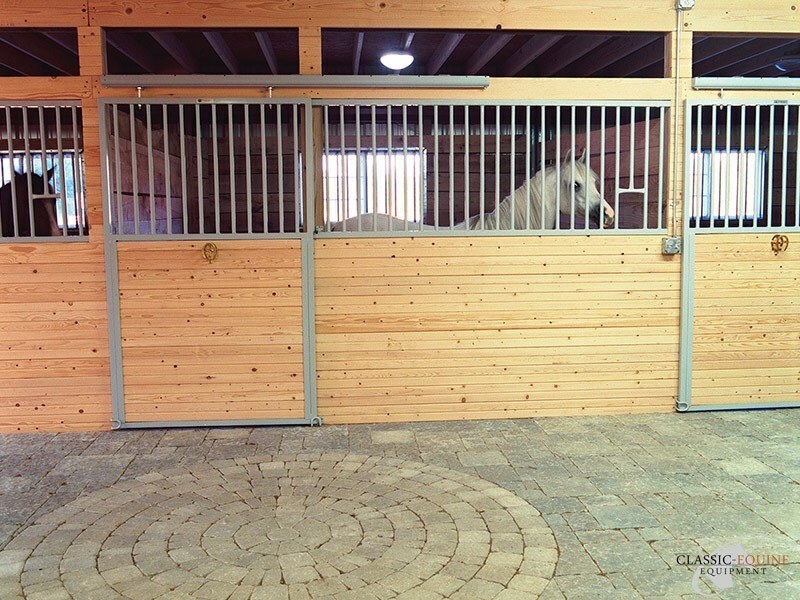 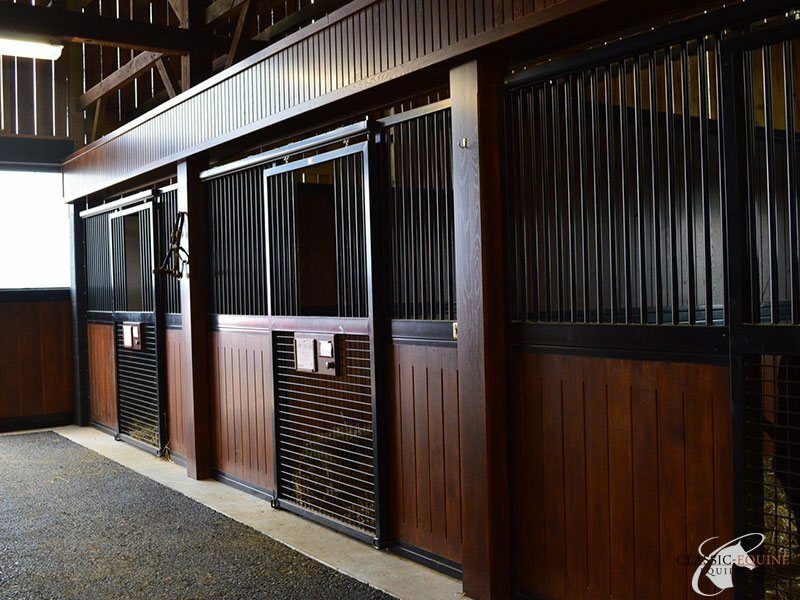 The horse stall doors can be designed very open, very closed, or a combination of both. 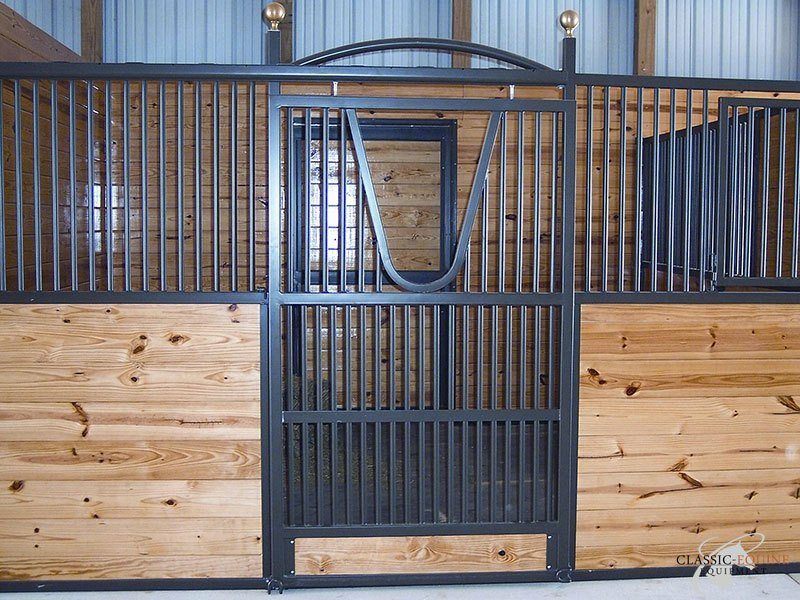 By adding an opening, either yoke or square with corresponding fill piece, allows you to enclose or secure the horse in the stall as needed. 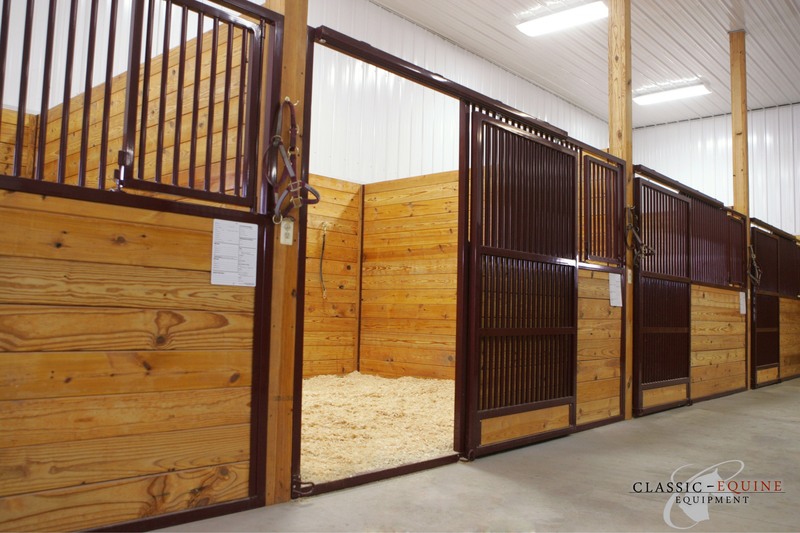 Take a look at the many options we have available. 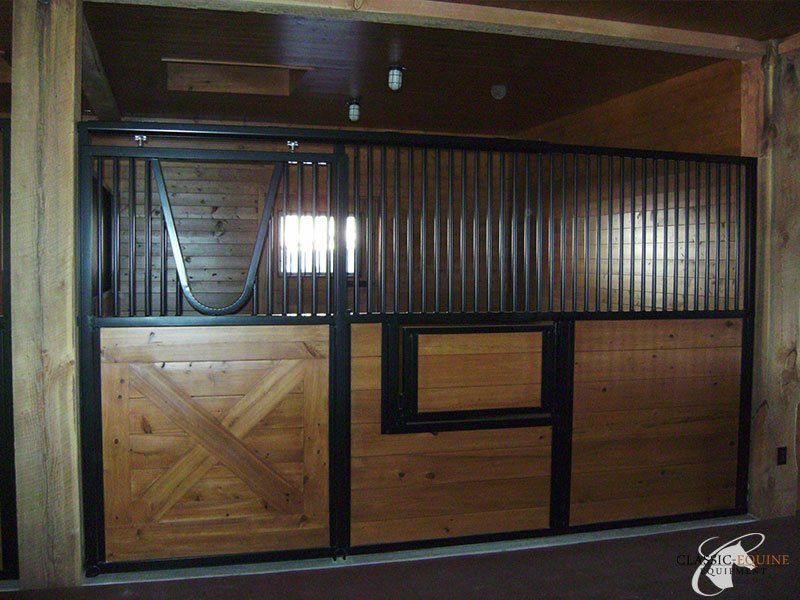 We can also tailor any of our standard door horse stall fronts to suit your needs. 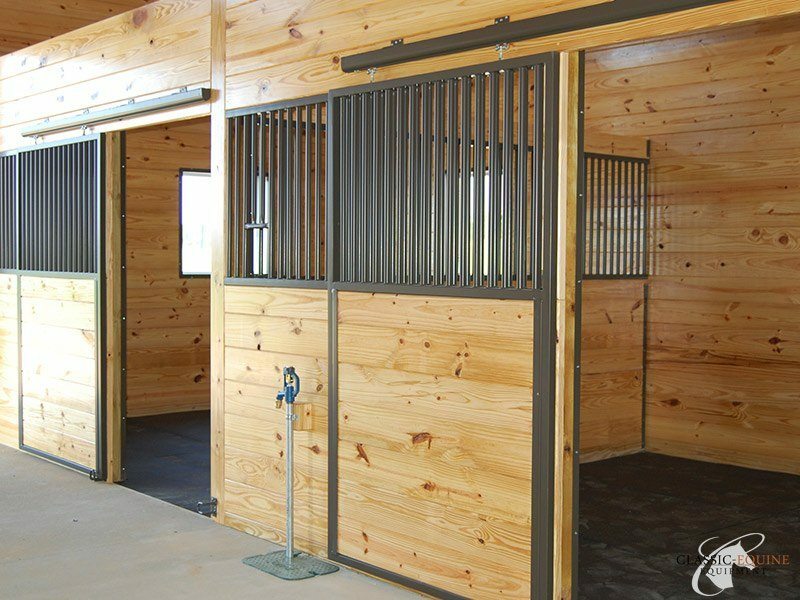 Sliding door horse stall fronts must be supported by an overhead track. 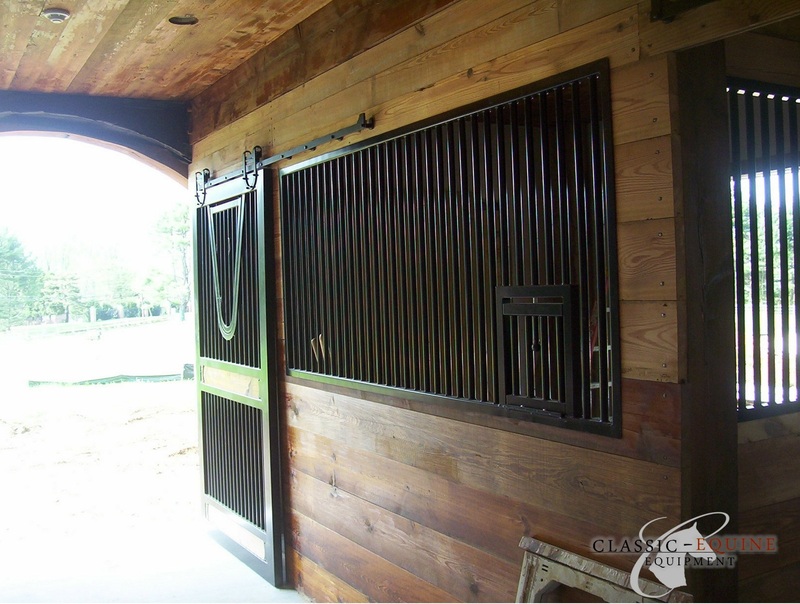 Some people familiar with the traditional style horse stall door would argue these can become difficult to slide over time and are plagued with problems. 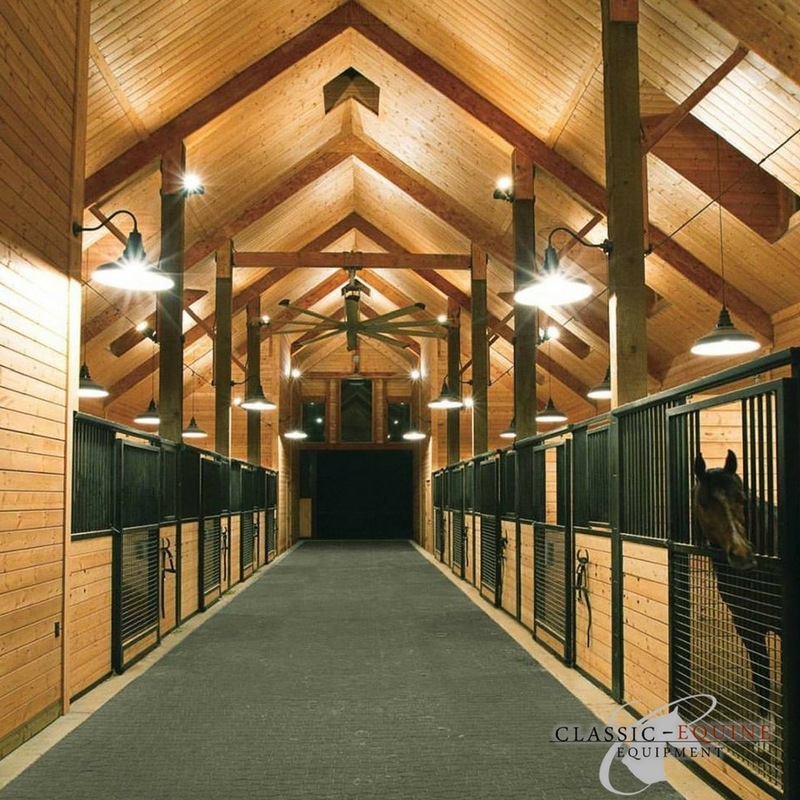 Our track and roller design will not build up with debris as many other track systems do as our sealed bearing rollers require no maintenance. 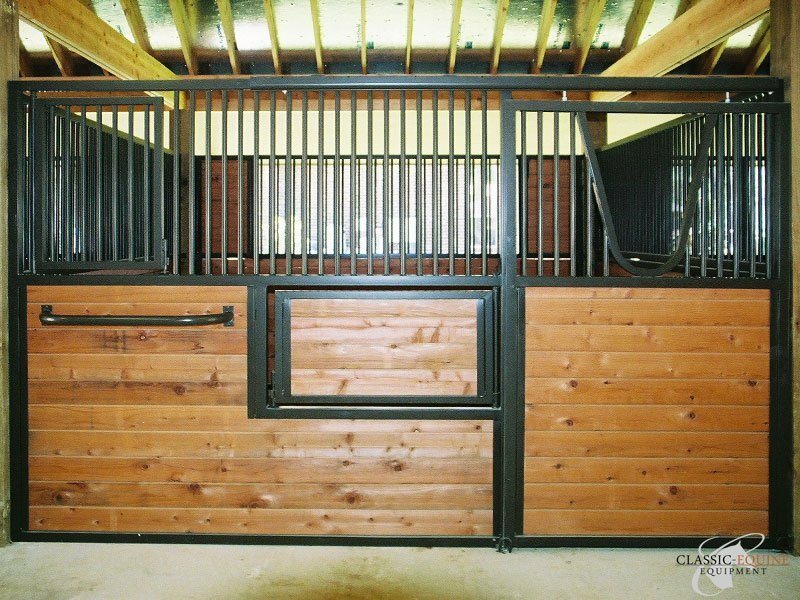 This is the best system on the market for sliding horse stall doors. 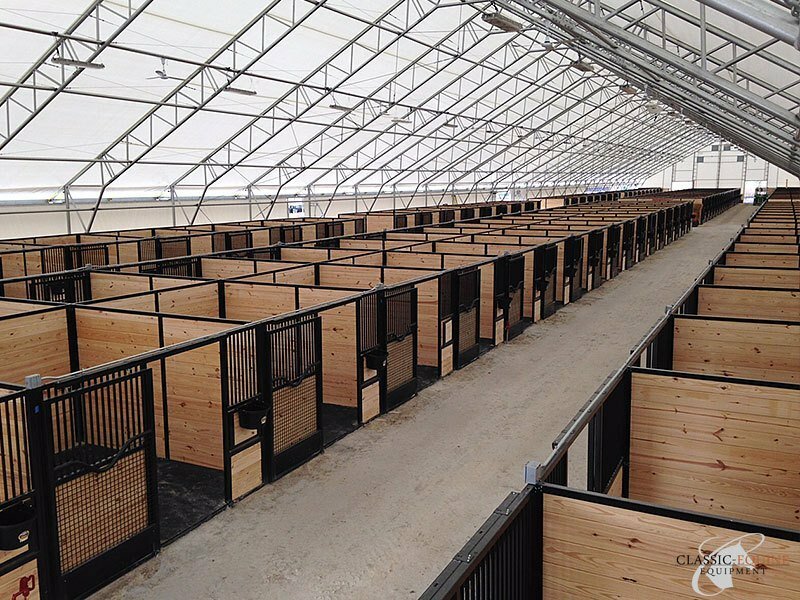 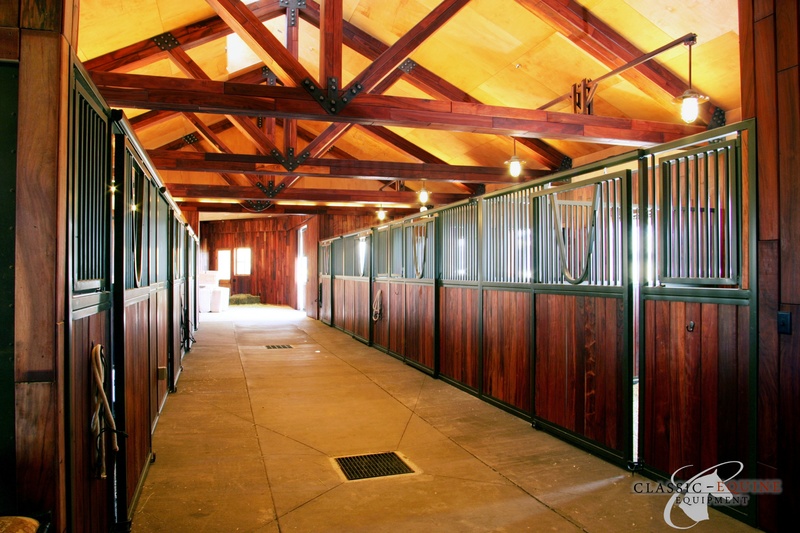 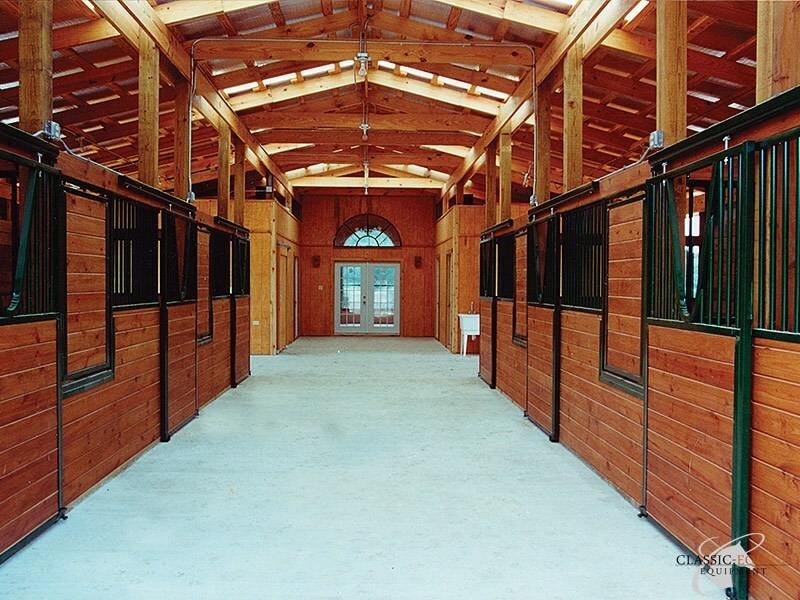 If you are still unsure about which style of stall front is right for your barn, please give us a call. 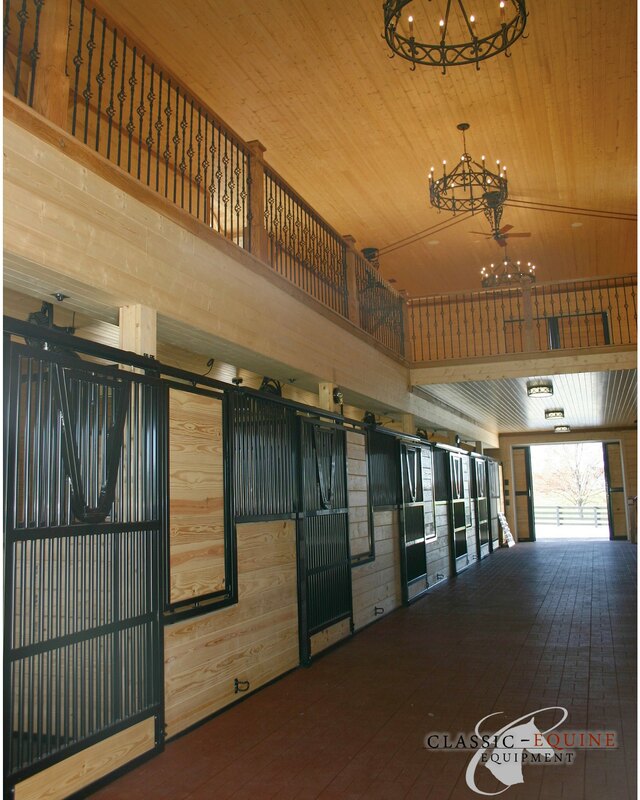 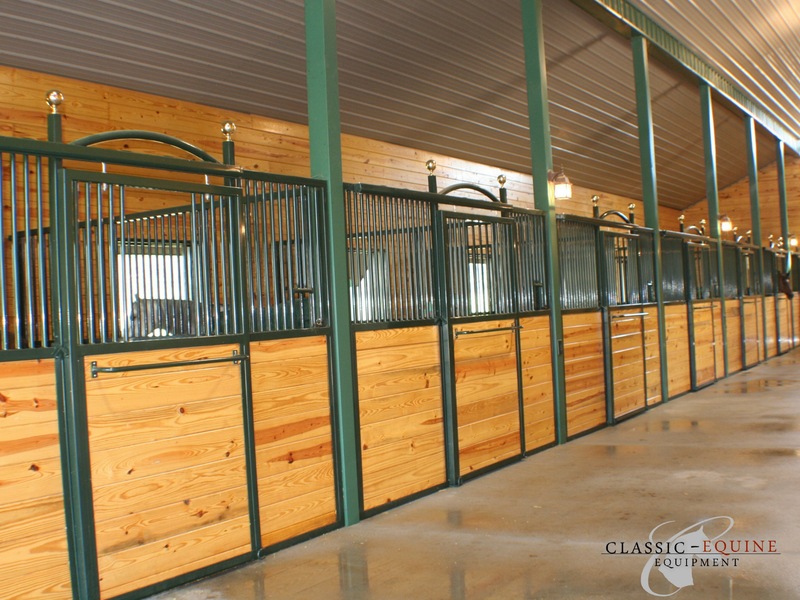 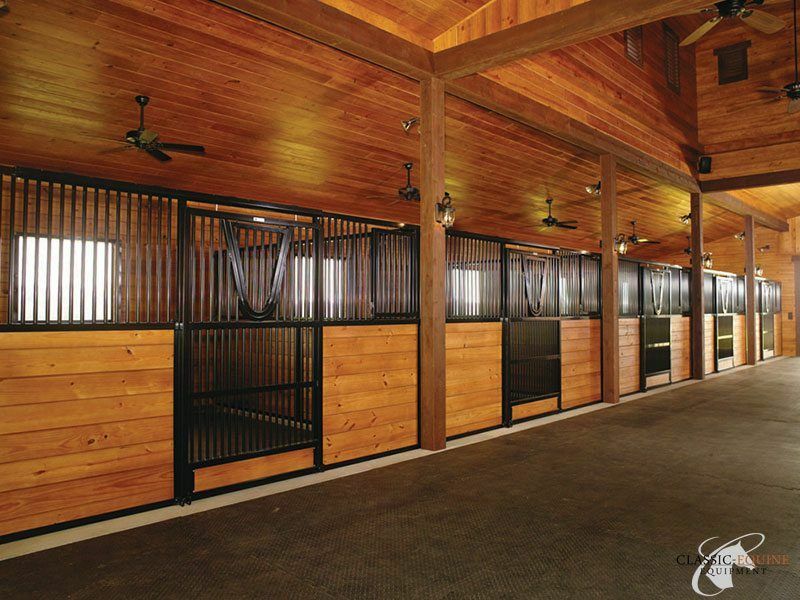 We would be happy to discuss our different stall lines and help you determine the best product for your barn.